Monterosso al Mare, Corniglia, Vernazza and Manarola. 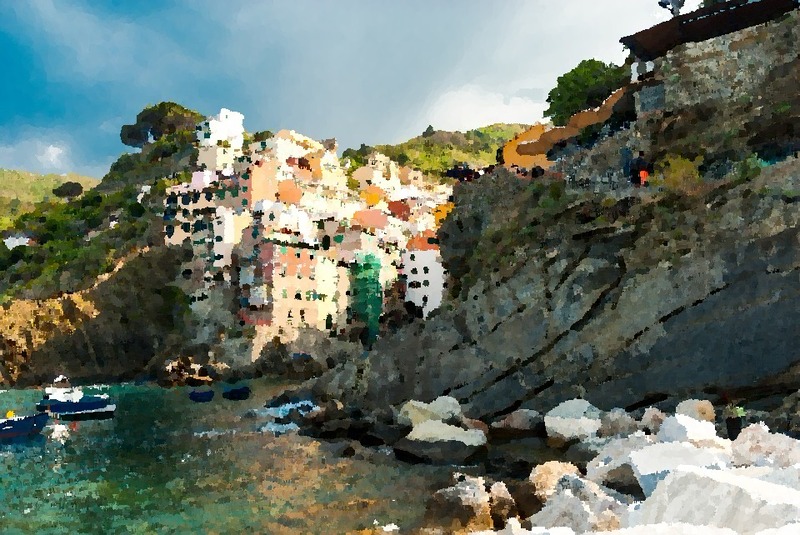 Cinque Terre is noted by the low-leveled hills by the name La Spezia. Owing to its fascinating location, Cinque Terre is counted amongst the World Heritage Site, UNESCO. Owing to its establishment on the riverbank, Cinque Terre predominantly enjoys a mild climate. The summers are long, characterized by humidity and heat. Afternoons are the hottest, whereas, the evenings face cool breeze and frequent downpours. The winters are mild characterized by four varied breeze including Scirocco from South East, Libeccio from south west and the violent and cold Grecale wind. The temperature zone during winters is around 12-14 degree Celsius. Spring is moderate, whereas, the autumn is beautiful with occasional rainfalls. Cinque Terre is most visited due to the popularity of its five essential villages, sprawling from north to south. They are easily accessible via plane, boat, train and car. The best mode of reaching it is via train that begins from the neighboring city, La Spazia to Genoa and is connected to all the five villages. Apart from the above one would also find passengers ferry that runs in between the villages. Apart from tourist attraction, the most important highlight of Cinque Terre is the plentiful Mediterranean Sea food that welcomes its visitors. On the other hand, the mountain area of the place has huge plantations of olives and grapes, thereby making this an important wine hub of Italy. These are all absolutely stunning villages.